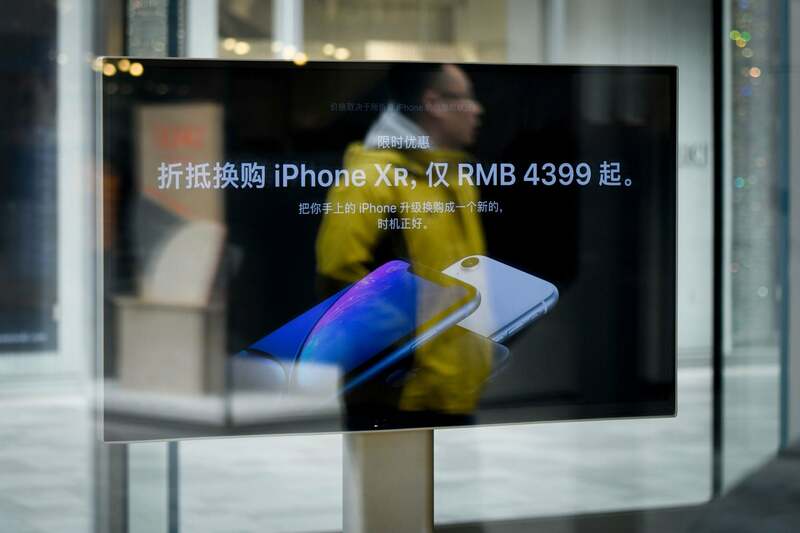 Weak iPhone sales in China fueled investor fears of a slowing global economy and led to further selling of stocks today. Tech bellwether Apple Inc. reduced forward revenue guidance today because of slowing business in China. CEO Tim Scott cited trade tensions as a determining factor, but said the company had not foreseen “the magnitude of economic deceleration” in the world’s second largest economy. Apple shares were down 9.96 percent, setting a new 52-week low. Apple’s bad news dragged down the rest of the technology sector, with the tech-heavy Nasdaq Composite index falling 3.04 percent on the day. The Dow and S&P 500 indexes were down 2.83 percent and 2.48 percent respectively. The Entrepreneur Index™ fell 1.83 percent with declines outnumbering advances by 45-15. Economy-sensitive semiconductor stocks were hit hardest. NVIDIA Corp. and Analog Devices had the two biggest declines on the Entrepreneur Index™ today, falling 6.01 percent and 6.13 percent respectively. Travel website TripAdvisor Inc. was also down 5.86 percent. Adobe Systems Inc. (-4.0 percent) and salesforce.com (-3.76 percent) both fell sharply. Netflix, up 1.32 percent, was the only tech stock of thirteen on the Entrepreneur Index™ that had a gain on the day. Businesses with significant international exposure were also hammered today. Estee Lauder Companies, with a fast-growing Asian business, was down 4.77 percent. Likewise, medical device-maker Boston Scientific Corp., which derives about 40 percent of its revenues from outside the U.S., fell 4.5 percent. Luxury clothing maker Ralph Lauren Corp. with about a third of its sales overseas, declined 4.51 percent. Package delivery giant Fedex Corp., which earns about 70 percent of revenues in the U.S., continued to slide. It was down 3.68 percent today and is now off 25 percent since the beginning of last month. Specialty retailer Bed Bath & Beyond, which had the biggest gain on the Entrepreneur Index™ yesterday, was down 4.09 percent today. Tesla continued its downward trajectory. The stock fell nearly seven percent yesterday after the company announced it would cut prices on its vehicles to make up for the smaller tax credits available to electric car buyers this year. The stock was down another 3.15 percent today and has fallen more than 20 percent in the last three weeks. Food and drug companies, often seen as defensive investments in volatile markets, performed noticeably well today. Tyson Foods (2.14 percent) and J.M. Smucker Company (0.76 percent) both had gains, while Alexion Pharmaceuticals had the biggest gain on the Entrepreneur Index™ today, rising 2.2 percent. Real estate investment trusts bounced back from a bad day yesterday. Most of the nine REITs on the Entrepreneur Index™ were down sharply yesterday — many more than three percent. Today, six of nine had gains, albeit small ones. Macerich Company (1.77 percent) and Extra Space Storage (1.17 percent) were up the most.